ALS Research Forum | Is FUS to Blame for Neurons Vulnerable to FTLD and ALS? Is FUS to Blame for Neurons Vulnerable to FTLD and ALS? 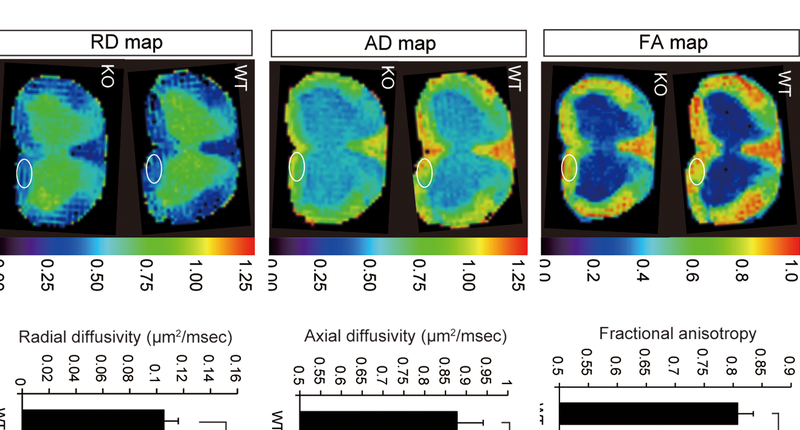 Specific neurons may degenerate in amyotrophic lateral sclerosis and frontotemporal dementia because they rely heavily on the RNA-binding protein FUS to manage messenger RNA. This conclusion comes from a paper in the August 8 Scientific Reports. After examining different cell types, researchers led by Gen Sobue and Shinsuke Ishigaki at Nagoya University in Japan concluded that cortical and motor neurons—the classes affected in FTLD and ALS, respectively—show similar dependency on FUS for gene transcription. Loss of FUS could explain the selective vulnerability of these cell types, the authors propose. In both familial and sporadic FUSopathies, the normally nuclear FUS often relocates to the cytoplasm, where it cannot regulate RNA transcription as readily. This may somehow weaken neurons, the theory goes. Researchers are trying to understand the mechanism by identifying genes that FUS regulate, which number in the thousands. FUS binds various RNA targets in the brain, including all pre-mRNAs that contain introns, according to mouse studies (see ARF news story on Lagier-Tourenne et al., 2012 and Rogelj et al., 2012). However, much of the previous research identified FUS targets in populations of different cells, such as whole-brain extracts. Previously, Ishigaki and colleagues focused on mouse primary cortical neurons to show that FUS regulates transcription and alternative splicing of several genes, including tau, calcium/calmodulin-dependent protein kinase II alpha (Camk2a), and fragile X mental retardation 1 (FMR1, Ishigaki et al., 2012 ), that are related to related to neurological disease such as Alzheimer’s. Now, they turn their attention to multiple cell types. In doing so, they hoped to address the question of cell type-specific vulnerability—if all cells have FUS, why are only certain neurons susceptible to FUS defects such as mutations? To get at this question, first author Yusuke Fujioka and colleagues examined the FUS transcriptome in four primary cell lines from embryonic mice: cortical, motor, and cerebellar neurons, as well as astrocytes. Normally, the three neuronal types have similar transcriptomes, while the glial one is different. The researchers used silencing RNAs to turn off FUS, and then compared, using gene chips, the FUS-positive and FUS-negative conditions. The researchers compared lists of expressed genes between FUS-positive and FUS-negative cell lines, and observed huge changes—more than 2,000 genes differentially expressed—in the cortical and motor neurons as well as the glia. Motor and cortical neurons shared 775 of those genes. In contrast, cerebellar neurons were less affected by the loss of FUS, with only 494 genes differentially spliced compared to FUS-positive cells. Fewer than 60 matched those that turned up in analysis of the other neural cell types. The glia were also strongly affected by the dearth of FUS, with 2,074 genes altered, of which more than 40 matched those identified in the cortical and motor neurons. The researchers also examined alternative splicing events, and found a similar pattern with respect to cell type. There was overlap between nearly 1,000 genes alternatively spliced in the absence of FUS in cortical and motor neurons. Cerebellar neurons had fewer than 500 genes overlapping with the other neural types. The splicing profile of glia showed little in common with that of the neurons. “The fact that the FUS profiles of cortical and motor neurons are similar indicates that those profiles are related to the cell selectivity in ALS and FTLD,” wrote Ishigaki in an email to Alzforum. Those cell types, which are more dependent on FUS, would be especially susceptible to its loss. The results indicate that glia, too, could be susceptible to FUS loss and contribute to disease. The reason that one person gets ALS and another FTLD could have to do with cell-type-specific alternative splicing events that differ between motor and cortical neurons, the authors suggested. However, FUS itself may not be responsible for the differences between the cell lines. In a further experiment, the researchers mapped FUS binding to three genes—tau; discs, large (Drosophila) homolog-associated protein 1 (Dlgap1); and syntaxin binding protein 1 (Stxbp1)—that were differentially regulated in their cell cultures. They immunoprecipitated FUS and associated RNAs from embryonic mouse cerebellum, cerebrum, and spinal cord, and observed that FUS bound to the RNAs similarly in each tissue type. “That implies that cell-type specificity is likely not controlled by FUS, but by other RNA-binding factors that interact with the targets,” concluded Gene Yeo of the University of California, San Diego, who was not involved in the study. One or more as-yet-unknown RNA binding factors, only found in certain cell types and working together with FUS, might then be the true explanation for the vulnerability of cortical and motor neurons. However, it is not certain that even FUS-regulated transcriptome patterns are the answer to the vulnerability question, Yeo said, and it remains possible that another explanation is out there. He noted that the tissues were embryonic, not adult, and ALS and FTLD are diseases of aging. Moreover, Yeo said, splicing patterns differ greatly between mouse and human (Yeo et al., 2005). However, he and Ishigaki agreed that the study provides a cautionary lesson for scientists, who must carefully consider the cell type when they attempt to model ALS or FTLD. The next step, Yeo suggested, would be to narrow down the list of FUS-regulated genes to those most likely to be disease drug targets. Sobue and colleagues examined the known functions of FUS-targeted genes and discovered that in cortical and motor neurons, genes in signaling and metabolism were well represented. In those same cells types, FUS influenced splicing of genes that control synaptic function, neuron projections, and nerve impulses. Ishigaki is particularly interested in those targets already linked to neuron disease, including tau, Camk2a, Fmr1 and syntaxin 1a, which is involved in synaptic vesicle docking. The group next plans to generate animal models of FUS pathology and examine how the RNA targets they identified contribute to disease onset and progression, he wrote.—Amber Dance.